Another Friday, another Pinterest review! This signature is getting wings to fly! What’s Hot On Pinterest is one of your favorite themes and we are here just to provide you with what you want! These are the Trending Pins this week, regarding the Lighting Stores Pinterest page. Get ready to get inspired with us! The first place goes to… Lighting Stores in Milan board! Specifically an image of a really cool restaurant that takes place in Italy. This board is supposed to show you some Italian inspirations and to redirect you to an article we did, always about the topic in question. 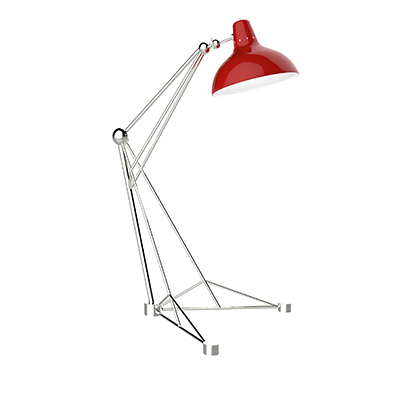 ‘Which article?’ you may be asking, ‘Lighting Stores: Discover SAG’80 from Italy’, we answer. The purpose of sharing this image is to give you some ideas on how to transform your house design, in this case, your dining room space. Always remember restaurant photos not ever represent literally what you want to say, but they fit perfect as an inspiration. The second most viewed photo on our amazing feed is this one that belongs to the board Lighting Ideas for Bedroom. Here we share every idea to get you inspired! From the craziest bedroom that comes to your mind, to the more minimalist. Bedrooms can often be the forgotten room in your house because no one else sees it. But it’s very important to get that home decor like a mirror or your soul. Once you redecorate your bedroom to your own personal taste, you’ll feel way better in that space. ‘Amazing Lighting Tips To Light Up Your Bedroom’ is the article the photo is redirecting to. Wall Lamps, how can you not love it? This one, in particular, has been our favorite for a couple months now. It’s so ‘nature’ and zen, and looks so cool! This will boost and improve your interior design, giving it a more rustic and minimalist place. This image redirects to this article: ‘Mid-Century Modern Wall Lamps To Die For’. These kind of lighting designs are one of the biggest trends for this year, there’s no way you don’t like it. Because they are hanged in the wall, they took literally zero space from your other furniture. It’s a very functional technique and DelightFULL has the most amazing wall lamps for you to enjoy! Do You Know How To Light Up Your Children Bedroom? Check Here!